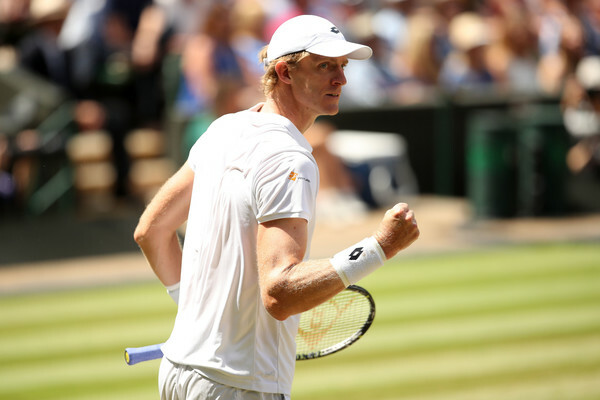 It was a good performance put up by both players with Kevin Anderson prevailing over John Isner in a clash of the top-10 players in the semifinals of the Wimbledon Championships. In what was the longest Grand Slam semifinal, longest semifinal in the history of the Wimbledon Championships, the second-longest match in Wimbledon’s history and the longest-ever match played on Centre Court here at the All England Lawn Tennis and Croquet Club, Kevin Anderson needed six-hours and 36-minutes of action to defeat world number 10 John Isner as the South African prevailed with a stunning 7-6, 6-7, 6-7, 6-4, 26-24 win and each player hit more than 100 winners individually. This win comes two days after Anderson produced an unbelievable comeback against defending champion Roger Federer in the quarterfinals, coming from two sets down and saving a match point to triumph. 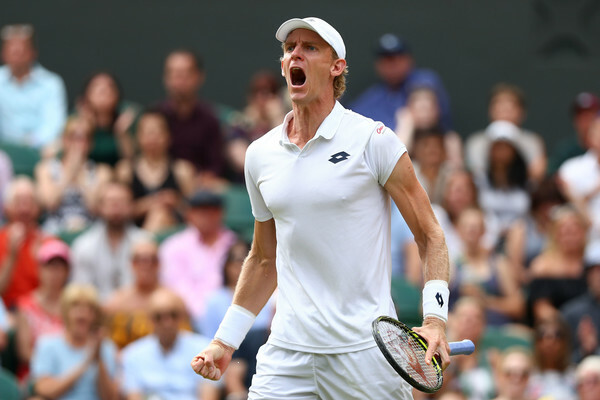 The South African continued to break new grounds, achieving his best result at Wimbledon with this win, claiming a new career-high ranking as well. After a quick and expected exchange of service holds to start the match with, it was relatively surprising when the fans witnessed break points in the early stages. 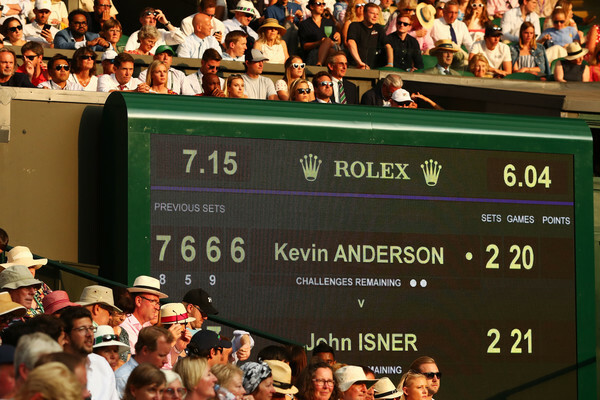 Anderson, in his first Wimbledon semifinal and second Major last-four appearance overall, could have been feeling the nerves and conceded three break points in the marathon third game which featured 22 points, where Isner failed to convert his opportunities as he committed unforced errors on every opportunity, gifting Anderson a lifeline which ultimately paved the way for him to hold his serve narrowly in the 13-minute game. A string of consecutive service holds followed and both players were firing on all cylinders, though only in their service games as they failed to find any loopholes on the return. Both players were huge servers and it was a tough ask for them to find a breakthrough and draw the first blood. Serving to stay in the set at 4-5 down, Isner certainly felt the pressure and his nervous net approaches coupled alongside a double-fault at 30-30 gave Anderson a set point. Nonetheless, powerful and unstoppable serves from Isner saved him from the brink, holding his nervy service game for 5-5. The set was eventually brought into a tiebreak and it was Isner who earned the first mini-break with a terrific forehand winner. However, a stunning forehand passing shot by Anderson helped him to return on serve and a costly forehand error into the net saw Isner conceding the opening set 6-7 after missing out on a set point, allowing the South African to edge towards his first-ever win over the American. Anderson had extremely clean statistics, firing 21 winners to just three unforced errors while Isner had 22 winners and 15 unforced errors, most of them coming during the crucial moments. The second set was much more straightforward as compared to the first, with 12 consecutive service holds leading to the eventual tiebreak. Anderson seemed to possess all the momentum as he was the player having more opportunities on the return and even earned a break point chance in the ninth game. However, Isner was able to remain in contention with a volley winner which proved crucial towards the outcome of the set. It was a disastrous start to the tiebreak for Anderson as Isner managed to find some solutions to the powerful serves of the world number eight, powering to a commanding 5-0 lead within a blink of an eye. Though Anderson managed to lessen the deficit with consecutive aces and a stunning backhand winner. 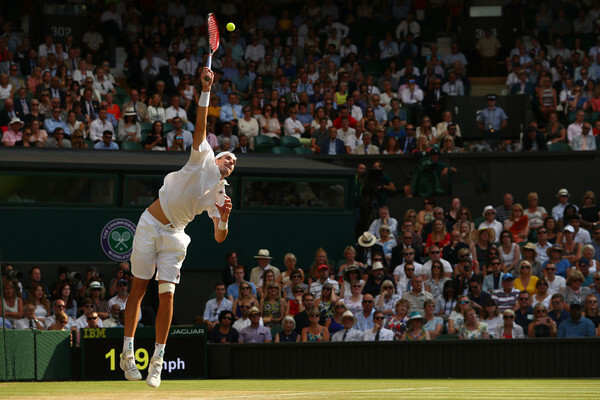 However, it was not enough as Isner closed out the second set with an ace, his 19th of the day. Anderson hit 17 winners with just one solitary error in the set but was still not able to overpower the American. After seven service holds on the trot, the first break of serve in the match finally arrived upon us after what seemed like an eternity. 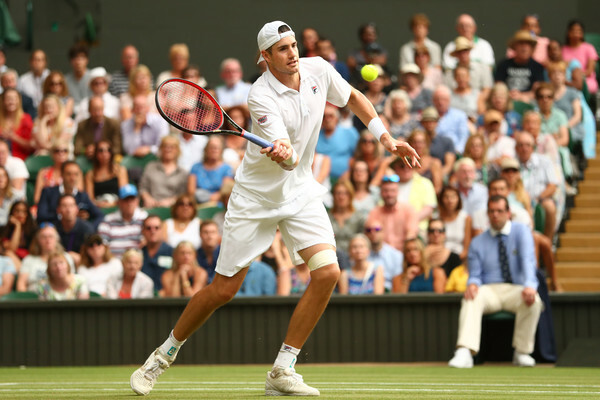 A rare series of unforced errors from Isner proved to be too much as it gifted Anderson with the first breakthrough, alongside the golden opportunity to serve out the set. However, Anderson, unfortunately, returned the favour immediately, handing out free points with his nervous errors as his hands were bounded by the huge amount of pressure. A third consecutive tiebreak ensued, but this time mini-breaks dominated the affair as there were four mini-breaks in the first eight points, and still, nothing could separate both players. Anderson faced a set point on the return but unexpectedly came up with consecutive passing winners to turn the tides and earn a set point instead. However, a double-fault by Anderson on set point seemed to have taken a blow on his confidence and composure, and this paved the way for Isner to seal the third set 11-9 in the fantastic tiebreak. There was an injury concern when Anderson took a medical time-out off the court just before the fourth set started, but he seemed alright when he came out firing with his powerful serves. Once more, the fourth set also featured a rare exchange of service breaks as Anderson was unable to consolidate his break yet again. Isner grabbed the break back with a fantastic backhand winner down-the-line, and within a blink of an eye, all the momentum seemed to be back with him. Serving at 4-4, Isner found himself in trouble with Anderson stepping up his level of play and came out of nowhere to regain the lead. This time, he was able to serve out the set but not without facing any problems as he lost a 40-0 lead but regained his composure to close out the set in style as he served an unreturnable serve to send the match into a deciding set. There was no suspense in terms of breaks as the opening 14 games witnessed no break points with the returners combining to only win a total of 11 points. However, after a tough struggle, Anderson came out of nowhere and earned a break point in the 15th game of the deciding set, but Isner was able to show some nerves of steel and produce three consecutive unreturnable serves to stay in front on the scoreboard. Anderson faced the pressure of having to play catch-up throughout the entirety of the decider unless he breaks serve and takes the lead, and had to serve to stay in the match on every occasion from 4-5 onwards. Isner had his first real chance to make a breakthrough at 9-8 up but was overwhelmed by Anderson’s powerful play as he failed to convert his chances despite being two points away from the win. 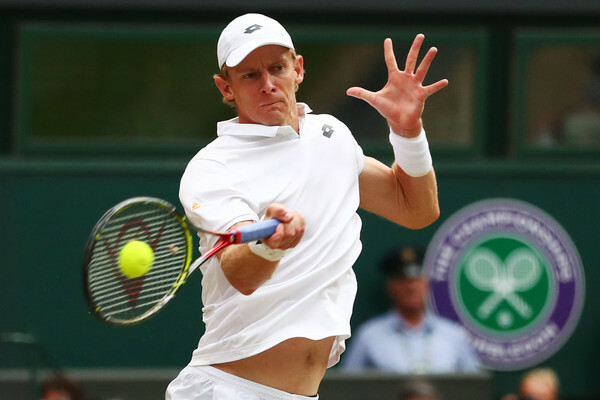 The narrow service hold seemed to have given Anderson the confidence he needed, as the South African proceeded to earn a 0-30 lead in the following game with the help of a string of forehand errors by Isner. However, the American came back roaring with four winners (three volley winners, one ace) and earned the nervy hold for the 10-9 lead. The second break point of the final set once again went in Anderson’s favour, after Isner mistimed a volley which landed directly at his feet. However, a failed attempt at a backhand lob went haywire, allowing Isner to escape from the brink and hold his serve in another tricky game. 48 service games came and went, but it was the 49th which finally saw Isner making the breakthrough and breaking serve for a 25-24 lead. Serving for the match, Anderson sealed his place in the final after a marathon 397 minutes of play.